On the grill, under the broiler, or in a skillet, steak is a versatile meat that's quick to prepare and full of important nutrients like iron, zinc, and protein. The ultratender flat iron is an affordable alternative to rib-eye. Look for (or request) flat, rectangular steaks--butchered specifically to eliminate the line of tough connective tissue that runs down the middle of the entire cut. Side flank steak with an arugula salad topped with Marinated Tomatoes for a simple main dish. 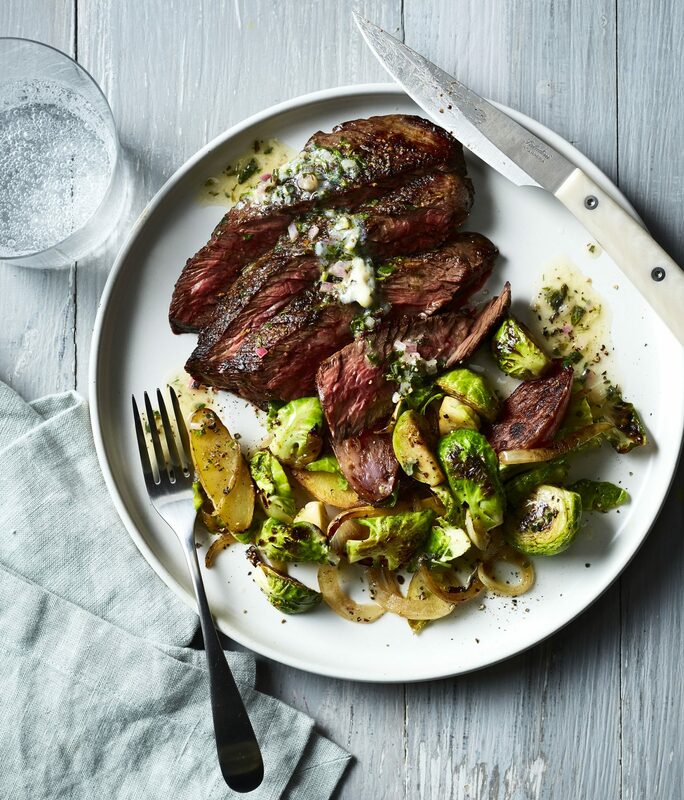 The steak is very lightly salted before it's cooked to get flavors going; then once it's cooked and sliced, it's sprinkled with coarse, crunchy sel gris. The finishing salt does all the heavy lifting, flavor-wise, with just a crystal or two popping with every bite. Don't worry if the onion wedges fall apart once you add the peppers to the pan; we keep them as wedges so there are flat surfaces to get a nice bit of char at the beginning. This steak tostada recipes cuts back on calories and sodium by using whole-grain corn tortillas instead of flour. Just top with this fun flavor combo and crunch. So healthy and delicious, you'll want two. Calorie-for-calorie, beef is one of the most nutrient-rich foods because it contains high concentrations of many essential nutrients. Prepare the ingredients ahead and then when it's time to eat, assemble and cook the dish either under the broiler or on the grill for a simple meal that's ready in minutes. Beef is an excellent source of protein, vitamin B12, and zinc. Flank steak is particularly lean and cooks quickly (typically in less than 20 minutes). The chermoula sauce in the recipe gets an extra kick from the ground red pepper and complements the savory beef, packing in extra flavor without loading on the calories. Filet mignon is an extra thick cut from the tenderloin area that is extremely lean and often the most tender cut available, making it one of the most popular and certainly one of the most tasty choices in steaks. When cooking with such good cuts of meat, select sauces wisely; marring the flavor of an excellent piece of meat is a sure way to guarantee a meat-lover's wrath. 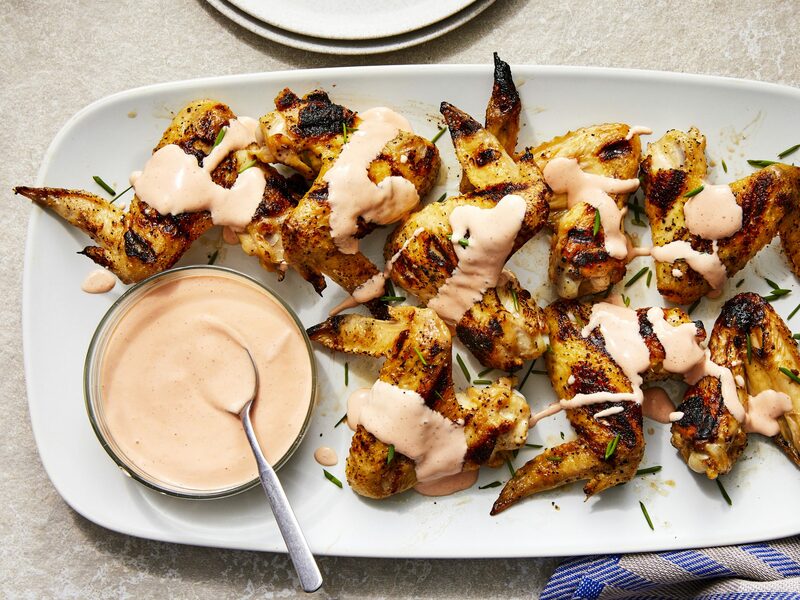 Get the entire family in the kitchen and make kebabs for a fun, kid-friendly supper. In addition to the peaches and peppers used in this dish, pack on other veggies such as tomatoes, mushrooms and zucchini for extra flavor and nutrients. If using wooden skewers, be sure to soak them before grilling to prevent burning. Beef is an excellent source of iron. It helps transport oxygen to cells and tissues, assists in making new red blood cells, aids in brain development, and supports the immune system. Add a light, calorie-friendly rub of lemon and orange rinds, salt, garlic, and red pepper to bring out the natural flavor of the steak. Shitake mushrooms extend the meaty flavors of this dish giving each bite the ultimate flavor. Serve with braised baby bok choy and steamed brown rice for added fiber. Steak is packed with the important mineral zinc. Zinc plays a vital role in mental and physical development, wound healing, and appetite control. In addition to containing zinc, beef increases the absorption of zinc from other foods when eaten at the same meal. Cut flank steak across the grain to break up muscle fibers for more tender slices. The protein in beef helps strengthen your body. Research shows that protein plays a large role in maintaining healthy weight and building muscle. Serve this filet mignon alongside steamed green beans or spinach for extra vitamins and nutrients.